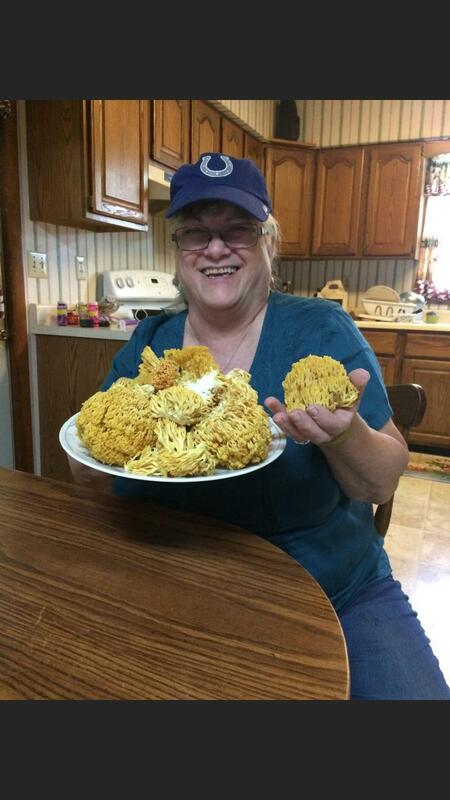 My cousin & his wife found some beautiful coral mushrooms today in aSouthern Indiana. Be careful here. That looks like Ramaria stricta to me. 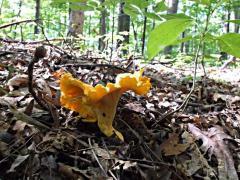 Look for the crown-shaped tips of the desirable Artomyces pyxidata. Artomyces should also be growing on somewhat intact wood residue, while Ramaria tends to grow in forest duff/humus. Finally, Ramaria stricta retains that orange color upon cooking, while Artomyces will turn brown. Ramaria stricta is not poisonous, at least not in small doses. But it doesn't really taste very good, either. This is one lesson I learned the hard way. Bruce, doesn't Artomyces﻿ pyxidata﻿﻿ turn orangish when it's past its prime?